Therefore in this article you will find a simple but very powerful exercise for having a better lápiz in your dance. What is lápiz? A movement, when you are drawing a circle with the free leg. Also known as lapice, rulo, dibujo. It can be used for example as an embellishment, or as a parada. The instructor on the video is Francisco Forquera. Francisco’s experience in men’s technique is very impressive. He is a well known professional dancer, teacher, choreographer, also he was member of Forever Tango Show. 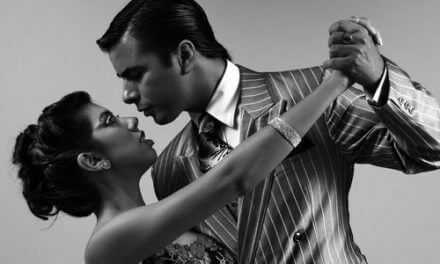 As he holds worldwide intensive tango and technique seminars you can get to know his philosophy on his technique classes. Everybody can do even the most complicated exercises with the right amount of practice. Here is an advice. If it is difficult to do the full turn, start with only a half one. As soon as you become more stable, you can proceed to the full turn version. Hard to concentrate? Get inspired by watching how Francisco Forquera and Daiana Pujol practicing on the following video!